Venom Review: Everything collapses, but Eddie Brock and the Symbiote! What happens when an alien parasite comes in contact with you? Well, it scares you and controls you like hell; but also becomes a good buddy too! Seriously? Does that happen in the case of Venom, the movie? Sony is among those studios right now who are rushing towards making up their own universes of character-based movies, like Marvel Studios’ MCU. There’s no doubt about it, and its inevitable taking in consideration the current taste of audiences and what their preferences are. That’s okay if they want their own established franchises too. Sony decided to have its Spider-Man (extended) universe, by bringing every major villain one-by-one (building the Sinister 6 maybe) and then doing a crossover. But the only problem for Sony and other studios like them is just one small thing. The treatment of characters, especially when it comes to the superhero movies. It has become the mandatory thing, which MCU movies absolutely adhere to, and that’s why nearly every film in the Disney owned Marvel Studios’ franchise is the best one in its own. 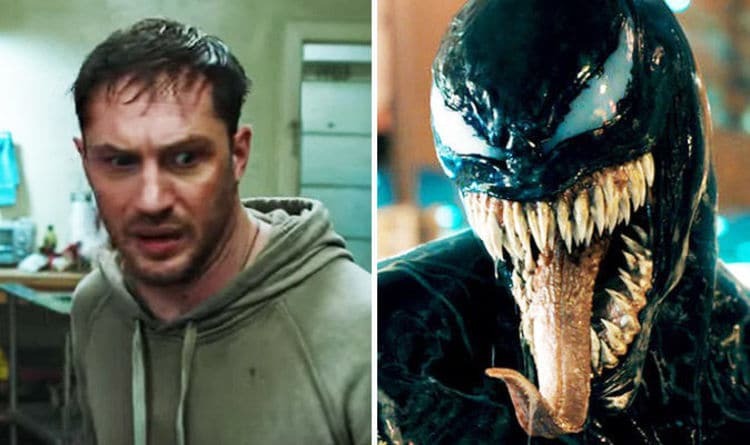 The film stars ‘Tom Hardy and only Tom Hardy’, as a reporter/journalist Eddie Brock, who comes in contact with an alien Symbiote called Venom. And then they share an inseparable bond till the movie ends. You must be wondering why I didn’t mention any other names in the cast. Because there is, in fact, no one else, except Tom Hardy! Thanks to heavens that the actor was there in this parasite storyline since he’s the only reason Venom somehow survives to give you a dose of full-entertainment. Yes, I used the word ‘full’. Why? There are lots of portals and rating sites out there with their own standards of judging a film. But I am giving my own views and opinions here after watching this flick. One thing is clear, at first that Venom fails on many aspects, yet wins on some crucial ones. The story is a mess, the plot is a mess, the supporting cast is void (for me), and on top of it, the CGI-filled action scenes (not all of them) are complex in a way when you just can’t decide what’s really going on. But it’s not an issue. Director Ruben Fleischer manages to bring many interesting elements here, but the film being mistreated hangs like a dead bird! Still, it’s not absolutely dead. It’s got some air of life. 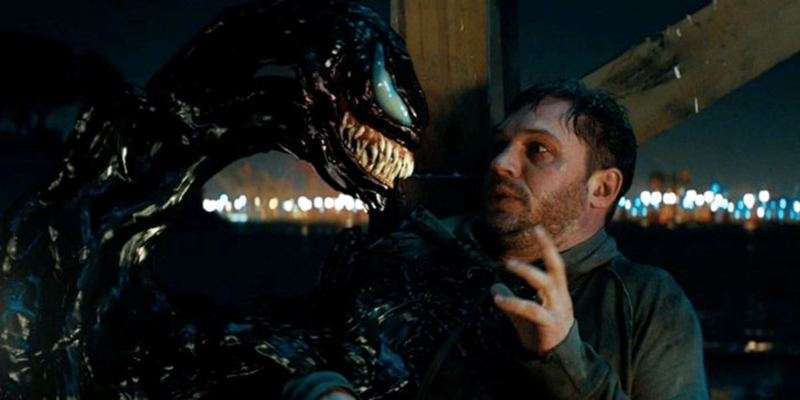 Tom Hardy and Venom have a great time together. And all that is due to one man’s charisma, Tom Hardy aka Eddie Brock aka Venom. The sole reason you will get stuck to this movie from beginning to end is him. Hardy has managed to strike a brilliant connection with his character and the symbiote itself. In fact, after Eddie Brock, the other best thing is Venom himself. Tom Hardy’s voice gives the symbiote a compelling impact and the moment they both meet and come together after some lazy 30 minutes of the film, it just gets better from there. Venom’s quirks with Brock and his own violent spirits in-between keep you hooked to see their bond, progressing further. The one positive of this film is enough to make you watch this Sony/Marvel’s ambitious flick. Must Read: WATCH: Dark Phoenix Trailer officially arrives after big leaks! Had this been a film focusing just on Eddie Brock and Venom exploring each other’s characteristics in a city, I would have loved it! They are so good and comical to watch together. Yes, it was a wrong choice to come up with this film, just to kick-off with a universe-kind-of-thing, but it’s still a great entertaining superhero movie. On this aspect, Venom never lets you down. Had Venom been under Marvel Studios by now, it could’ve been an exceptional entry in the symbiote storyline. Watch this film only for Tom Hardy’s and Venom’s really engaging chemistry. It will be great to watch them.